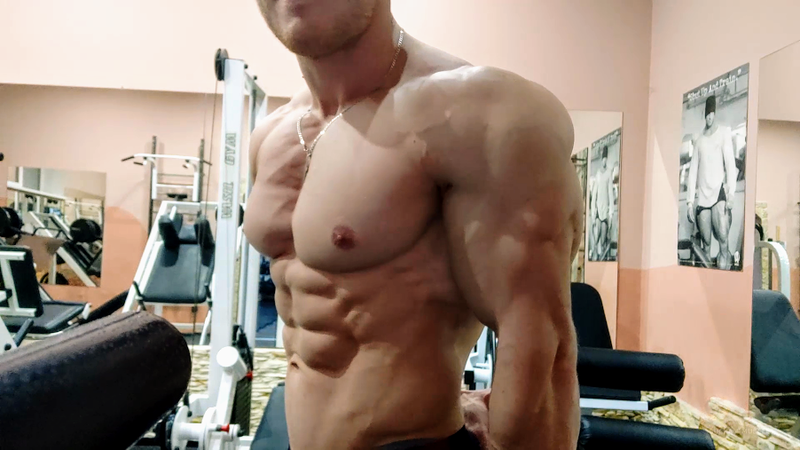 Home / Other Models / Mad Jack / Mad Jack: Alone with Ripped Alpha Musclegod in the Gym! Mad Jack gives an INCREDIBLE display of pure ALPHA MUSCLE & POWER! You won’t believe how SHREDDED his muscles are! Striations are EVERYWHERE! Every muscle is sculpted to perfection! The cuts in his muscles are so deep that you can fit your fingers inside of the indentations! He is even more masculine than usual as he emits INSANE POWER that you can feel with each strong flex! Video is almost 22 minutes long and in HD! !